When a storm is approaching your area, you can take certain measures to protect yourself. However, you have no idea what type of damage the storm is going to do to your home, including your roof. You can’t do much to protect your roof from the damage that it may incur as a result of the storm. All you can do is be prepared in the event that damage occurs and know what to do afterward. The best thing is to understand the type of damage that storms can have on your roof. High winds have the ability to blow shingles straight off of your roof. If this happens, your roof deck, as well as the rest of your home, is susceptible to water intrusion. Water can get into the underlayment and start rotting the roof deck. 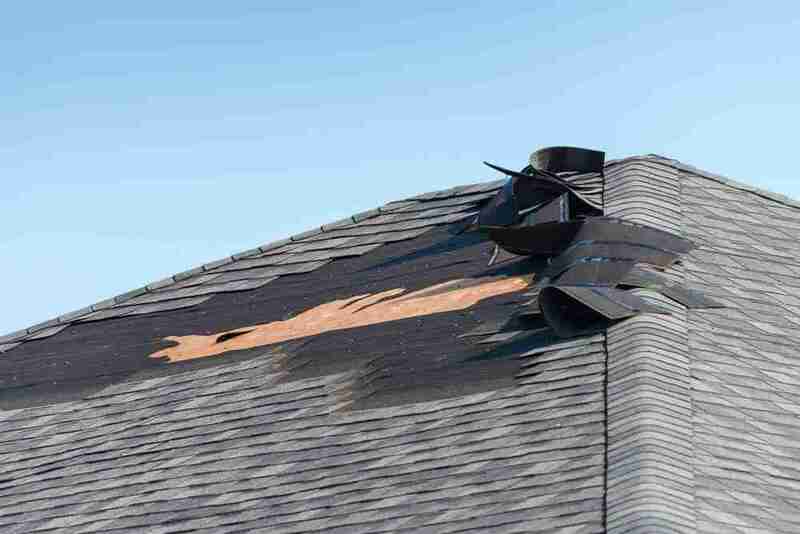 It only takes one or two blown shingles for damage to begin. Some homeowners think that they can nail the shingle back down and all is fine, but if the underlayment has been damaged, then problems can arise down the road. Therefore, all areas of the roof must be inspected after the storm. Small or large hail can cause the granules to come off of your shingles. The reason that these granules are important is because they protect the roof from the harmful UV rays from the sun. The UV rays age the shingles prematurely, which leaves them vulnerable to cracking, blowing off, etc. and eventually allowing water seepage. When trees fall onto the roof during a storm, they have the ability to poke holes into the surface of the roof. When this happens, there is the chance that water can seep into the home, especially if the storm is still ongoing outside. Generally, the area that the tree strikes can be repaired easily; however, there are instances when the entire roof needs to be replaced – sometimes even the roof deck as well. After a storm blows through and you can see that there is damage to your roof, it is imperative that you call a roofing contractor immediately – after you tarp the roof to ensure there is no further damage. Keep in mind that a reputable contractor may not be able to make it out to your home immediately due to the number of service calls that he or she will be receiving. Take this time to also take pictures and also call your insurance company. For more information on how to deal with storm damage, you can call our office and talk to a team member at 2nd2None Roofing & Construction today!